Back in the “good ol’ days” when contractors cut into concrete, they often could do little more than hope they wouldn’t hit anything important. Fortunately, they now have concrete imaging radars to gain at least some sense of what lies beneath the surface. Contractors have been turning to Giles Engineering, in Waukesha, for nearly 20 years now for guidance on exactly where they should be cutting and, more importantly, where they shouldn’t. 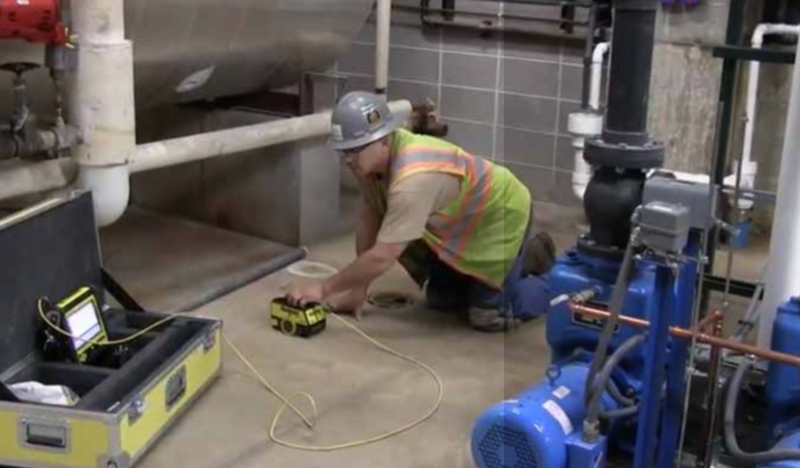 The radar devices can detect the presence not only of rebar, cables, electrical conduit, and other objects but also of underlying voids, whose location help crews know where to go to repair water mains and other sorts of utility lines. Steve Homar, manager of Giles’ materials testing division, said many different types of companies use concrete imaging radars but, among those, Giles is the one of very few specializing in geotechnical, environmental and materials testing. Homar said Giles was one of the earliest users of the imaging technology in this part of the country. It has also helped, Homar said, that Giles has had a single employee at its office in Waukesha using the technology almost from the start. Like most devices, concrete imaging radars have become more compact over time. They used to be about the size of a large suitcase. Now they are about as a wide as a tablet computer and as thick as a three-ring binder, Homar said. Giles’ office in Waukesha has three of the devices, two newer ones that are still in use and one that’s kept around “as a relic,” Homar said. For all of their advantages, concrete-imaging radars do have limitations, Homar said. They’re perfectly capable of peering through concrete, stone and other porous sorts of materials but not of much help with clay and other dense soils. the devices are equipped with sensors that can detect electrical fields and warn contractors before they cut into something concealing live wires.